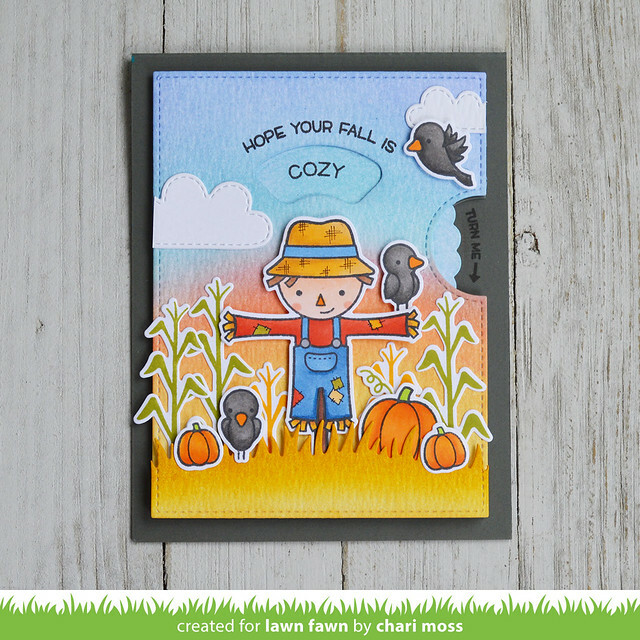 Today I have a fun fall card to share using one of my most favorite sets from Lawn Fawn, Happy Harvest. 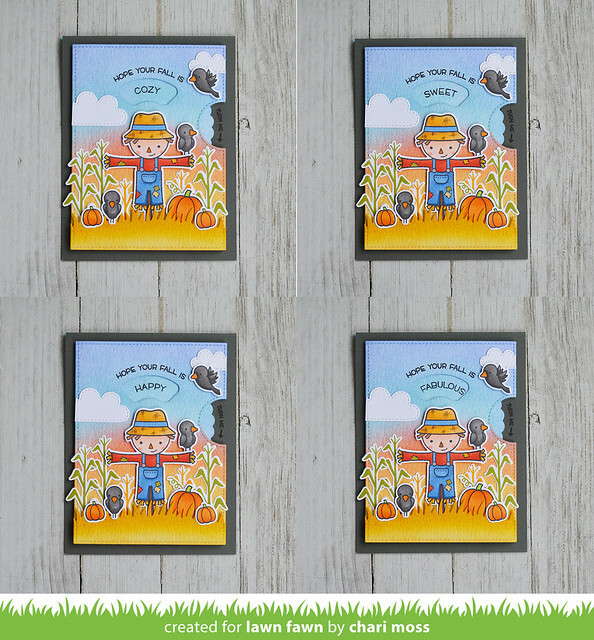 I just love that cute scarecrow. I created a soft autumn sunset background by blending distress inks in scattered straw, dried marigold, worn lipstick, tumbled glass and shaded lilac. I also used the holiday reveal wheel sentiments for this card because it has some great seasonal sentiments to stretch your reveal wheel into the holidays. 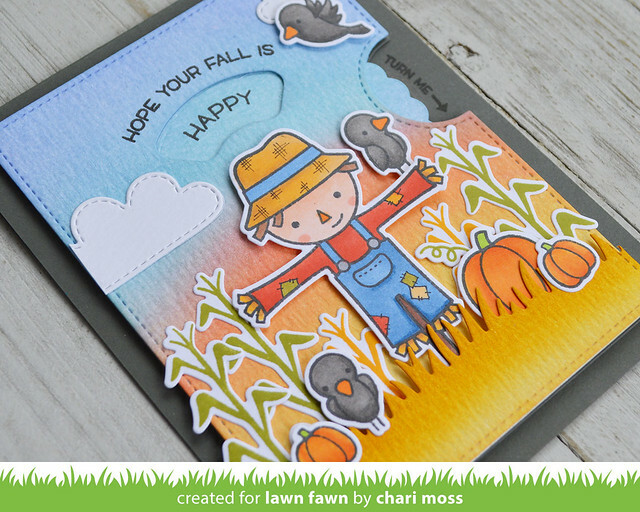 I have a video tutorial showing just how I created this card. You can watch below or HERE on my YouTube channel.